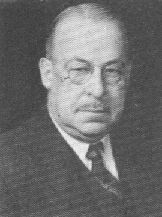 Joseph Abraham Valentine Turck (1870-1956) was a famous figure in the world of mechanical calculators. He is the author of about 40 patents in this area, first received in 1899 (pat. №US622091), and the last in 1956. Some of his patents are received together with the Dorr Felt—the creator of Comptometer, whose company Felt&Tarant Turck joined in 1911. Turck worked as a chief designer of the company over 20 years and retired as late as 1953, marking at least 42 years of devoted service. Turck also wrote the famous book Origin of Modern Calculating Machines, published in 1921, used as a source for this site. In 1898 Turck designed a key-driven calculating machine, which he patented in 1903. Later on this machine will be manufactured by the name Mechanical Accountant from 1902 until the mid 1920s by the company Mechanical Accountant Company from Providence, Rhode Island. The machine was manufactured under 2 variants—Mechanical Accountant Simplex and Mechanical Accountant Duplex (see the upper photo). The difference between the two variants is, that in the Duplex variant can be used multiple rows at a time, which is impossible in the Simplex variant of the machine. The machine has two rows of digital wheels, which can be seen in the row of windows in the upper part of the box. In the upper row can be seen last entered by the keyboard number, while in the lower row, can be seen the result. The big horizontal key below the digital keys (just like the Space key on a modern keyboard) is used for resetting of the upper row of wheels. The lower (result) row can be reset by means of the crank in the right part of the box. Strangely, a little is known about this remarkable engineer and constructor. It is always helpful for students in mechanical engineering programs to learn about famous figures in the engineering field. 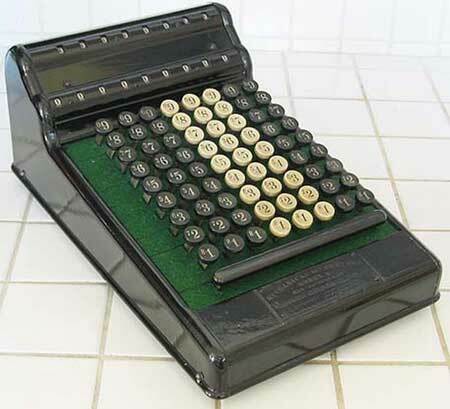 The best engineering degrees include a historical study of early mechanical calculators and those who invented them. Joseph Abraham Valentine Turck was born on 1 August, 1870, in Camden, New York, to Joseph Hiram Turck (1839-1926), and Mary Carpenter Turck (1844-1915). Joseph Hiram was a physician, born in Athens, N. Y., who spent the greater part of his life, practicing medicine in Elmira, N. Y., where he died on 21 Jan. 1926. He married in 1862 to Mary Carpenter Spelman, born on 15 Dec. 1844 in Providence, Rhode Island, and they had two children: Harriet, and Joseph Abraham. Joseph Hiram and Mary divorced, when Joseph Abraham was a child, and he spent his childhood under his mother (who worked as a dressmaker) in her hometown, Providence. Joseph Abraham Turck married on 31 October, 1904, in Providence, to Florence Margaret Heise (born on 24 Oct. 1884), and they had son, Joseph A. V. Turck, Jr. The remarkable inventor Joseph Turck died on 11 October, 1956, in Dade, Florida.